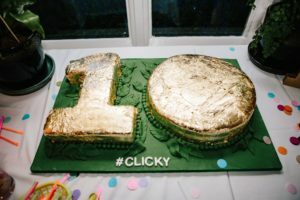 Digital marketing agency Clicky took over Chester Zoo to celebrate its 10th birthday. The after-hours party on Thursday August 10th was for staff and their families and included a private tour, barbeque and live music. Chester’s Clicky began life as a bedroom start-up with an initial investment of £500, but now boasts a multi-million-pound turnover and has doubled its staff numbers since 2012. CEO and founder Oliver Yeates said: “At Clicky, we think it is so important to reward our staff for all their hard work. The last 12 months have seen us grow to over 40 employees and we really wouldn’t be as successful as we are today without the dedication of every single of one of them.